Home|Tristate Purchases Automatic Inline Stencil Printer. 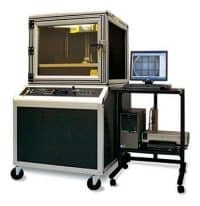 Tristate Electronic Manufacturing continues to enhance its SMT capabilities with another equipment upgrade. 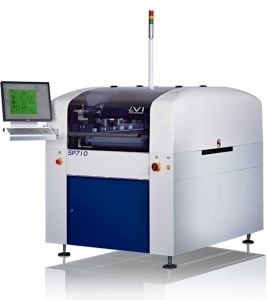 Tristate has purchased a Speedprint SP710avi Automatic Inline Stencil printer. Dual Dispenser option allows dispensing of Epoxy / Glue to stake high mass components to the PCB for reflow. Allows dispensing for pin-in-paste as well as other custom paste applications. Defect prevention verifies solder paste presence, and safeguards against insufficient paste volume. Improved accuracy and repeatability of stencil prints on dual sided products.